True Detective’s credits are a lot of fun to watch, even for people who usually like to fast forward through credits. Kicked up a notch from last year’s monotone delivery, some might even argue that True Detective’s credits are the high point of a weak season two. One of the complaints about the first season credits were that they could be a bit formulaic: half-tone a character, and silhouette them against some relevant imagery. Make the landscape a vessel for somebody, and then reverse the equation. Sometimes the shots are so on the nose that they beg for parody, like the revised opening for Key & Peele. Enter the Star Wars: True Detective Style credit sequence, via YouTube channel Star Wars Minute. An outline of Darth Vader is the perfect vessel to convey menacing flames, Princess Leia’s Empire-era concern is palpable, and Boba Fett gets even more mysterious. And even when the images don’t align to the credits (Why is Grand Moff Tarkin’s face paired with a credit for Hayden Christensen? ), they point out an adherence to style that borders on the ridiculous. Want to make the Death Star a symbol for evil? Never mind the fact that it already is—just turn it upside down and superimpose Emperor Palpatine grasping for control of the Senate. 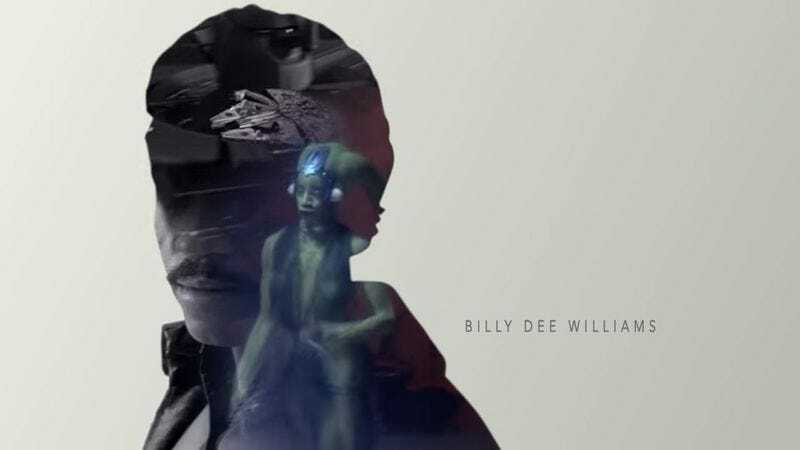 A side-by-side comparison shows that even if the credits don’t match up with the imagery, the visual flow of the Star Wars: True Detective Style opening stays pretty close to the source material for season one.